Here is an updated version of the diagram. I was concerned by the Ptolemaic positioning of the playwright at the center of the production universe. 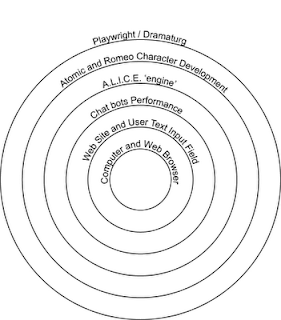 The structures remain unchanged but this diagram suggests that these structures are internalized within the playwright. I think this better describes the process and accords with the work of Bourdieu (habitus and field of works) and Csikszentmihalyi (domain acquisition and field). This is a fantastic diagram Mike. Wow - This diagram really is cool. 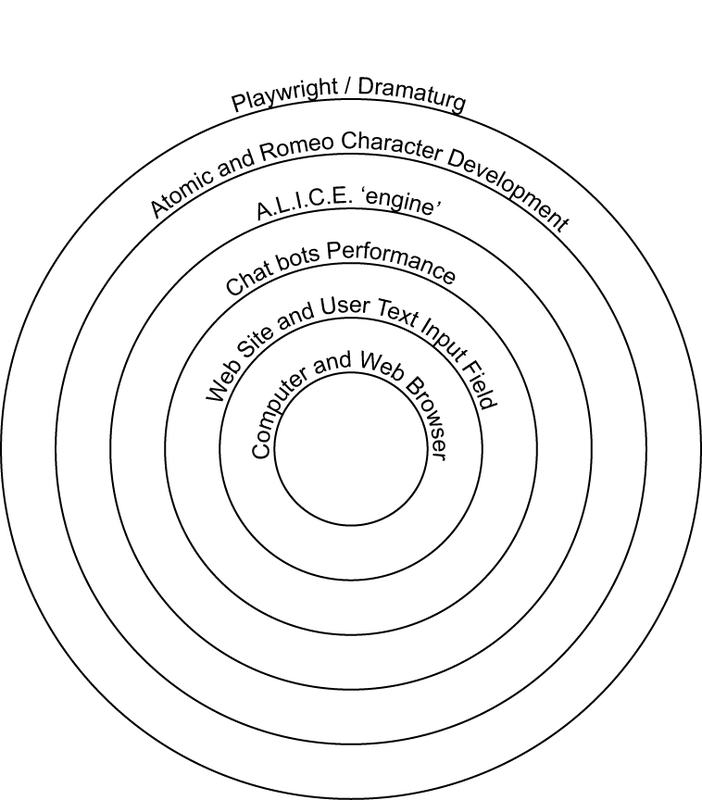 It's also given me an idea on how to draw a diagram of how `Transmedia' works (novel, adapted to a film, a game, comics etc). And another diagram on `how a film is realized'. Same sort of notion - with the CGI and effects and titles, etc. And `where the writer-director' sits in all of that. Thanks for this. Very thought-provoking.